Description Matt Bowers Chevrolet is excited to offer this 2014 Nissan Titan. You could keep looking, but why? You've found the perfect vehicle right here. The Nissan Titan SV will provide you with everything you have always wanted in a car -- Quality, Reliability, and Character. There are many vehicles on the market but if you are looking for a vehicle that will perform as good as it looks then this Nissan Titan SV is the one! 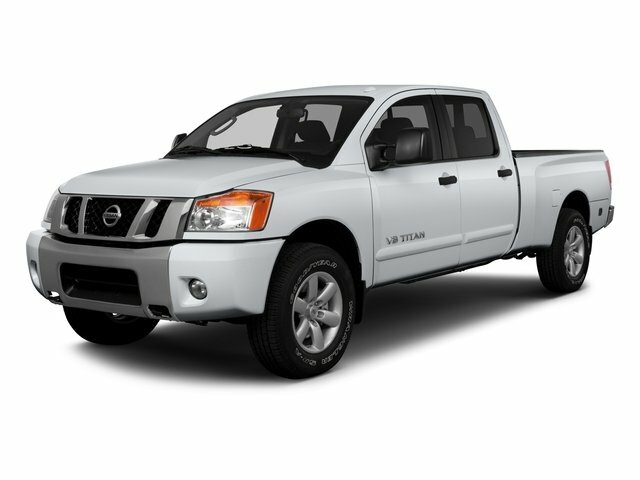 More information about the 2014 Nissan Titan: Starting under $30,000, the Titan features a 5.6L V8 engine that makes 317 hp and 385 ft-lb of torque. Hauling capacity includes a 2,000-lb payload and 9,500-lb tow rating. Titans offer seating for up to six adults in comfort, and the truck returns 13 mpg city, 18 mpg on the highway for the 2-wheel drive model. This model sets itself apart with wide array of configurations, massive towing and payload capabilities, fully boxed frame, and Powerful and E85-capable V8 standard Lifetime warranty is a limited Powertrain Warranty. Owner must follow manufacturers recommended maintenance on new vehicles as per owners manual. Covers select pre-owned vehicles five calendar years old or newer, with 80,000 miles or less. Other restrictions apply. See dealer for warranty details.